over 100 million years ago. hearts of men and women alike. all about it through the 5C's. Diamond weight is measured in carats. One carat equals 0.2 grams. A carat is divided into 100 points, so that for example, a 0.50 carat diamond is described as a "fifty pointer". Size is the most obvious factor in determining a diamond's value. However, two diamonds of equal carat weight can have difference values depending also on their cut, clarity and color. Larger diamonds are rarer and thus more valuable. When selecting a diamond, choose a size that suits you best. Except Fancy color diamond, diamonds are found in a range of colors. Colors are graded from D "Colorless" to Z "Light Yellow". The most common color ranges are "Colorless" (D,E,F), "Near Colorless" (G,H,I,J) are "Faint" (K,L,M). Subtle differences in color can dramatically affect a diamond's value. As diamonds are natural stones, they often contain unique internal characteristics, such as minute traces of other minerals, and/or non-crystallized carbon. The quality, size, color and position of these internal features together determine a diamond's clarity. The fewer and smaller the inclusions, the less they interfere with the passage of light, allowing the diamond to sparkle more brilliantly, thus increasing the value of the diamond. Diamonds are graded by highly trained and experienced diamond professionals, using 10x magnification. Diamond clarity is based on a scale which ranges from "Internally Flawless" (IF) to "Included" (I). Diamonds are cut into different shapes, round, marquise, oval, pear, heart, square, and emerald. One's choice depends on personal preference. Whatever its shape, a well-cut diamond with the right proportions will display the greatest amount of brilliance and "fire", which in turn increase its value. 1. If a diamond is cut too shallow, light escapes through the pavilion before it can be reflected. 2. If it is cut too deep, some light escapes through the opposite side of the pavilion. 3. When a diamond is well cut, light is reflected from one facet to another and then dispersed through the top of the stone. The Diamond Federation of Hong Kong, China (DFHK) is a non-profit organization, which aims to promote your trust in diamonds. Retail stores with the DFHK window decal have been accredited by the Federation with this "Symbol of Integrity". Shop with assurance in our members' stores. The DFHK has been invited to be a diamond consultant for the Quality Tourism Service Association. The DFHK helps to promote interest in diamonds, and guides the consumer through the diamond-buying process. To find your perfect diamond, call us at (852) 2524 5081. 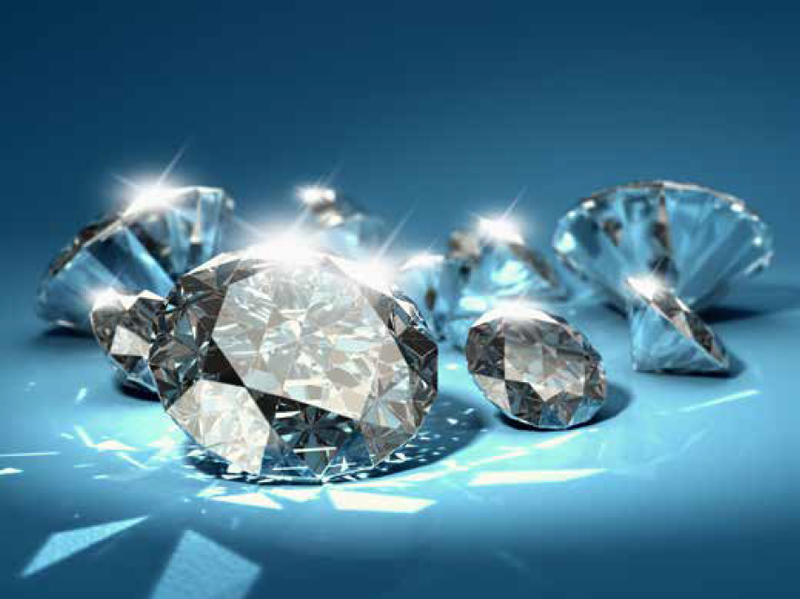 Diamonds were formed by nature under immerse heat and pressure deep inside the earth over 100 million years ago. Throughout the ages, due to its beauty and durability, the diamond has symbolized love, hope, romance, and eternity. Also, the innovative designs of beautiful diamond jewelry have captured the hearts of men and women alike. Before buying your dream diamond, learn all about it through the 5C's.